BeautySpa is a multi-purpose responsive theme coded & designed with a lot of care and love. 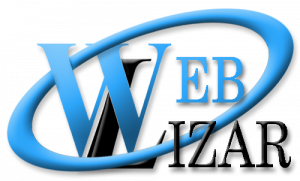 You can use it for your business, portfolio, blogging or any type of site. 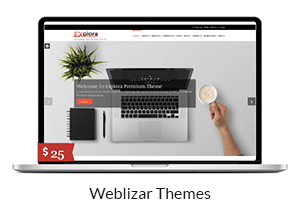 Our theme home page has 9 different sections. 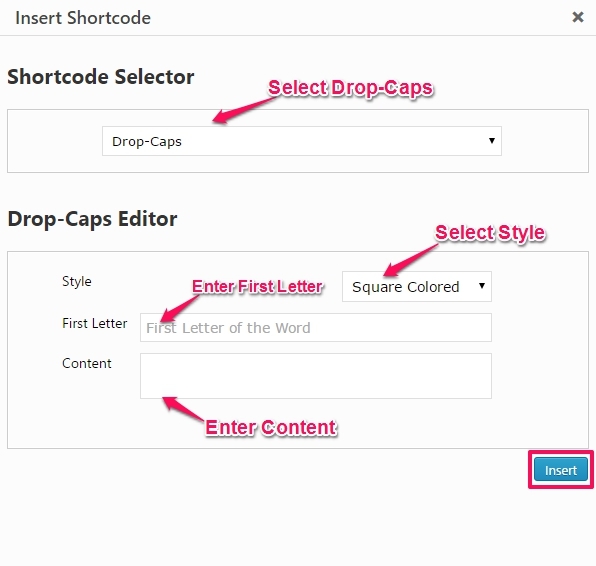 These sections can be customized with the theme options page. 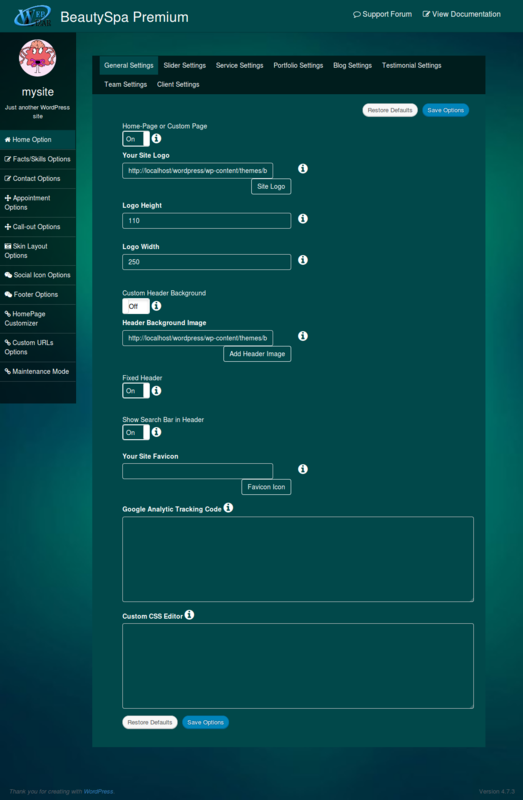 A look of Theme Options page is Here. In this section, you can enable front-page, add a logo , add a background image to breadcrumbs, add custom CSS, add google analytic code etc. NOTE : Logo height is Set to 60px for fixed header, if fixed header is enabled and when you scroll the page, Logo will set to 60px height in fixed menu. 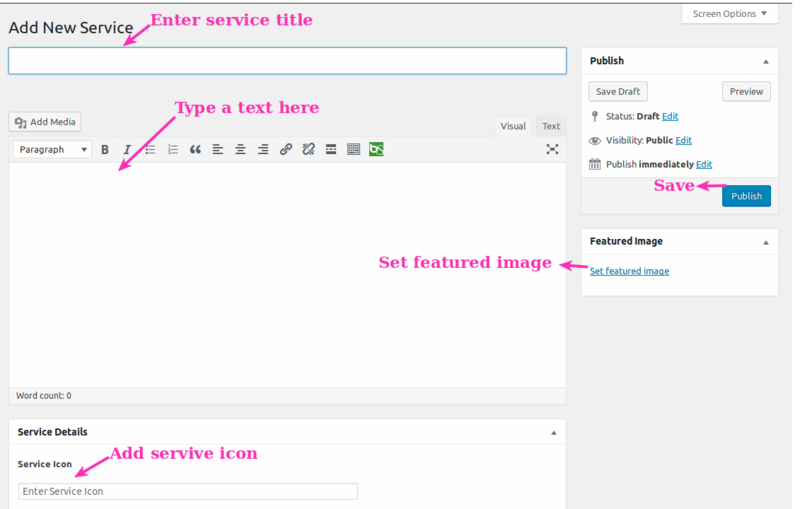 Now click on Favicon Icon Button and upload your logo image or select from Media Library. 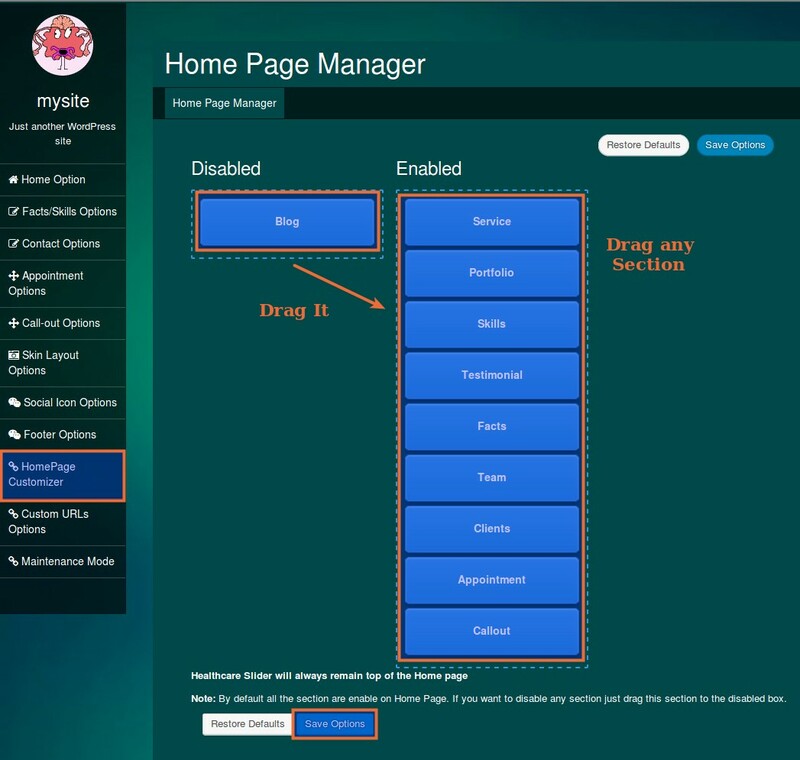 To add Header Background Image go to Admin Dashboard → Appearance → Theme Options → Home Options →General Settings. 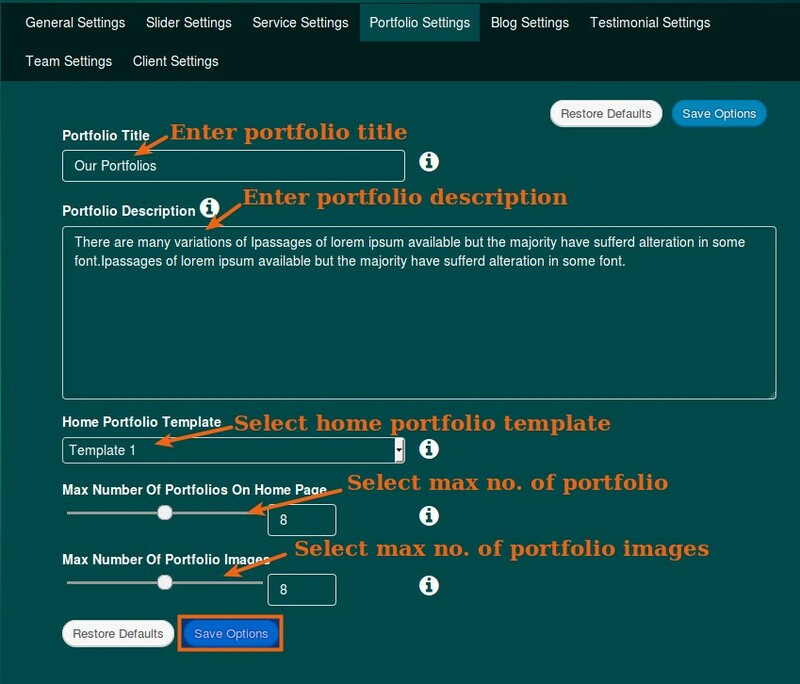 And Click on Upload image in Header Background Image setting. 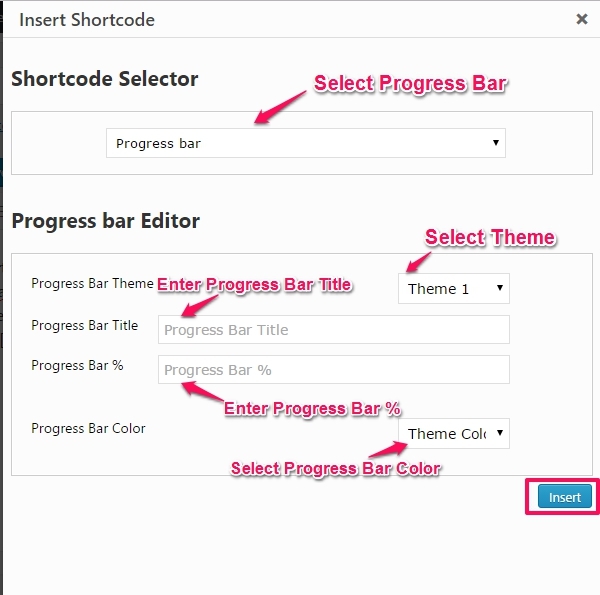 Theme Support Custom Header functionality. 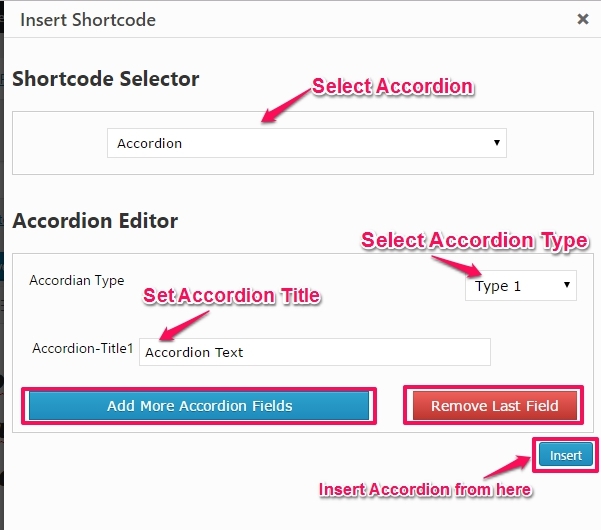 To add Background Image via Custom Header, slide Custom Header Background button to ON save the changes. 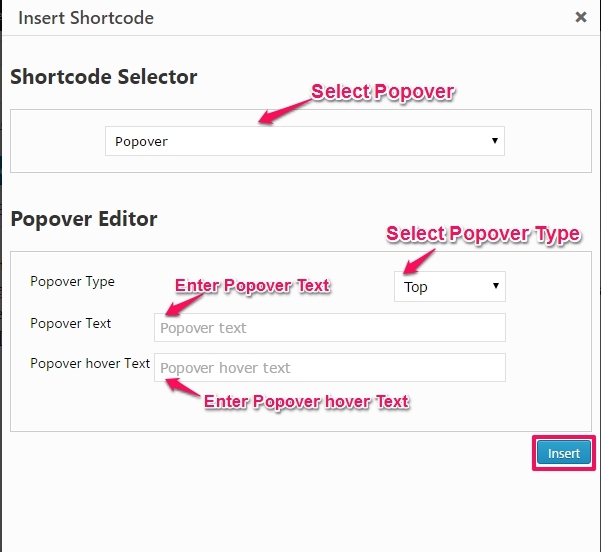 Now go to Admin Dashboard → Appearance → Customize→Header Image and customize header image. Theme supports Fixed Header functionality. 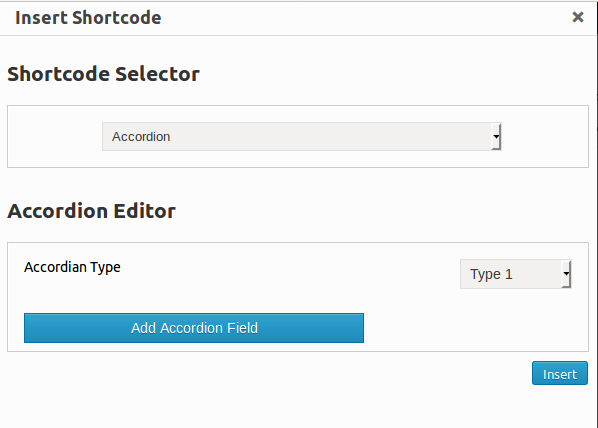 To add Fixed Header via Custom Header, slide Fixed Header button to ON save the changes. Theme supports Show Search Bar in Header functionality. 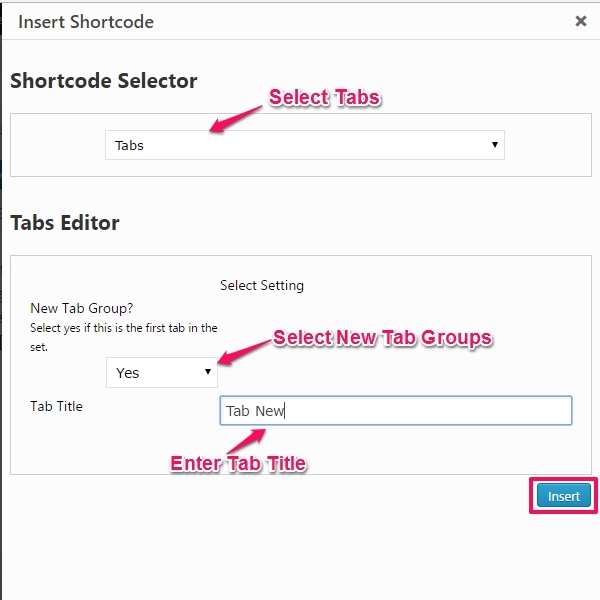 To add Search Bar in Header via Custom Header, slide Show Search Bar in Header button to ON save the changes. To add a slide to BeautySpa Slider. 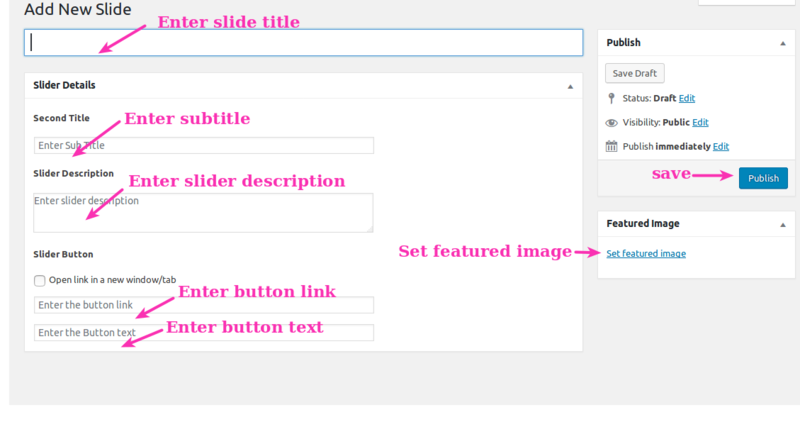 Go to Admin Dashboard →BeautySpa Slider →Add New Slide and fill related details. 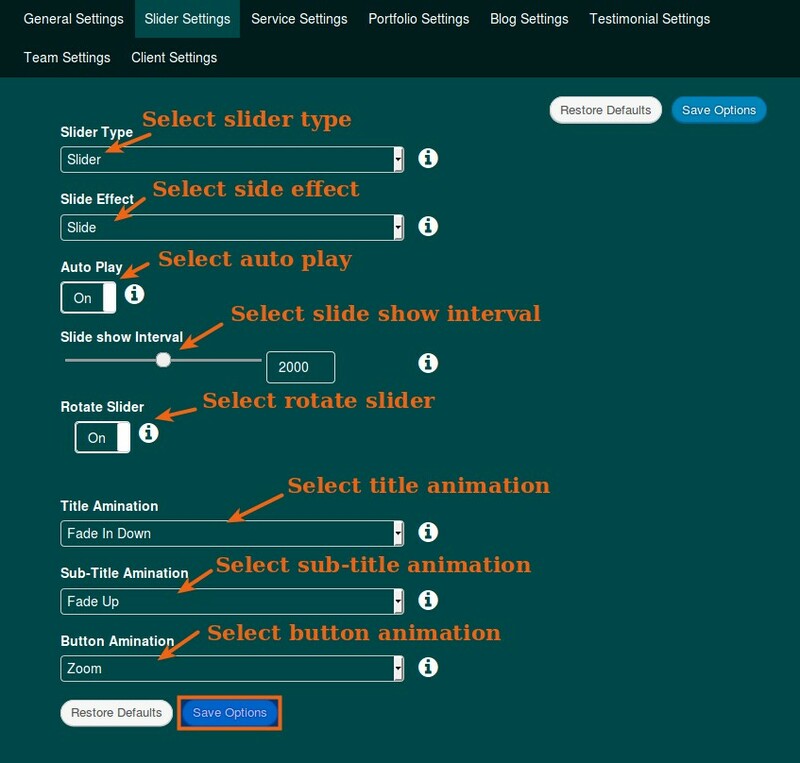 You can customize BeautySpa Slider in Theme Options Settings. 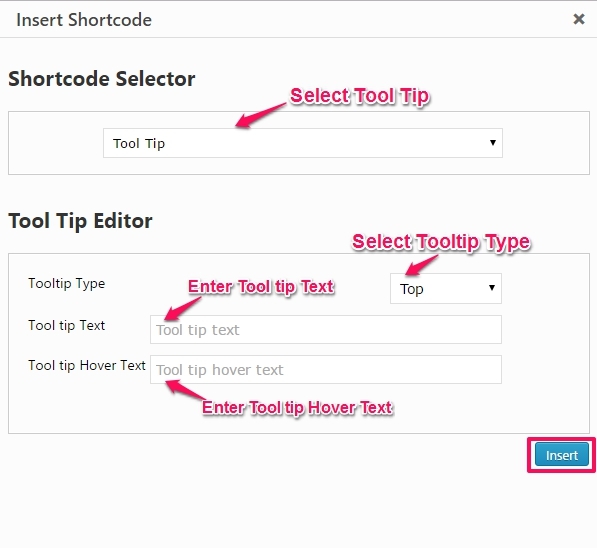 Please add this video code into video embedded URL. To add Service to BeautySpa Services. 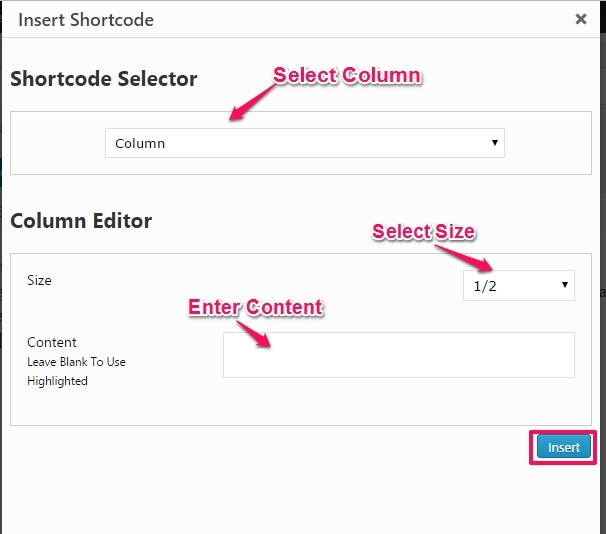 Go to Admin Dashboard → BeautySpa Services → Add New Service and fill related details. 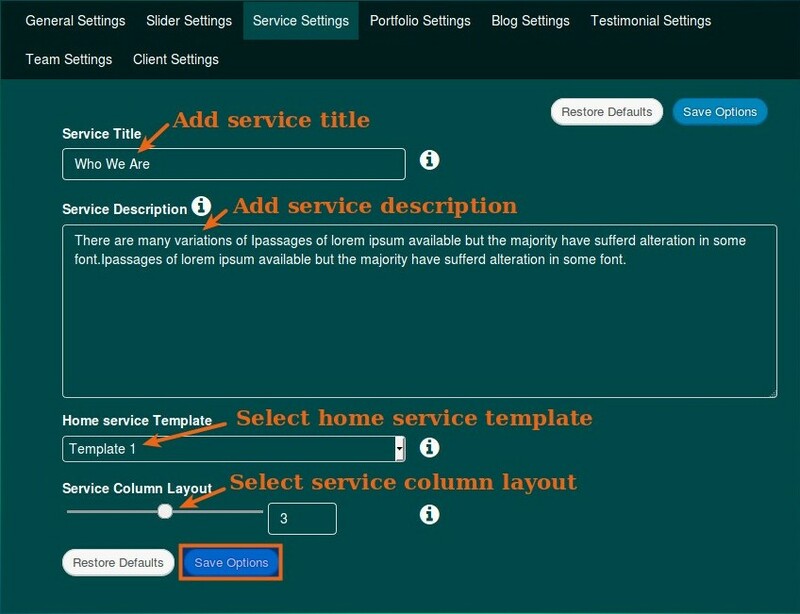 Note: To show services on the homepage you have to add either font awesome icon or feature image if you do not add this field, Service will not show on homepage. 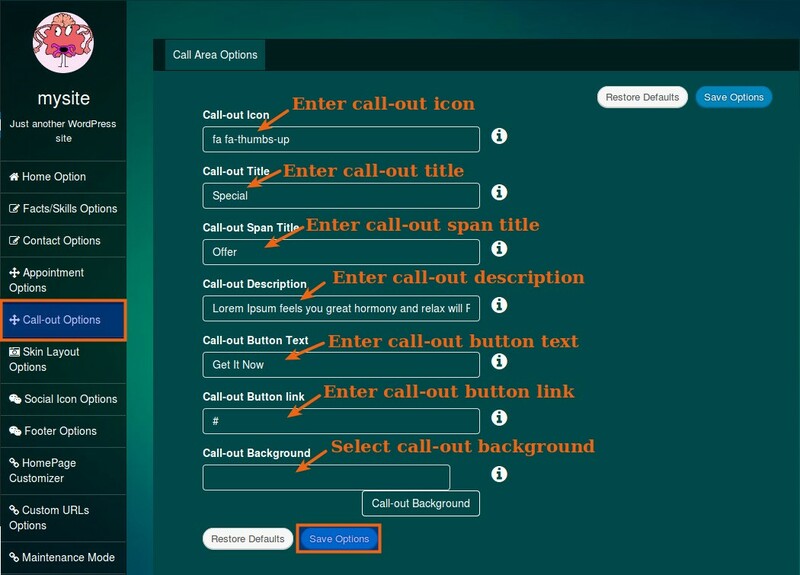 You can customize BeautySpa Services in Theme Options Settings. To add Portfolio to BeautySpa Portfolios. 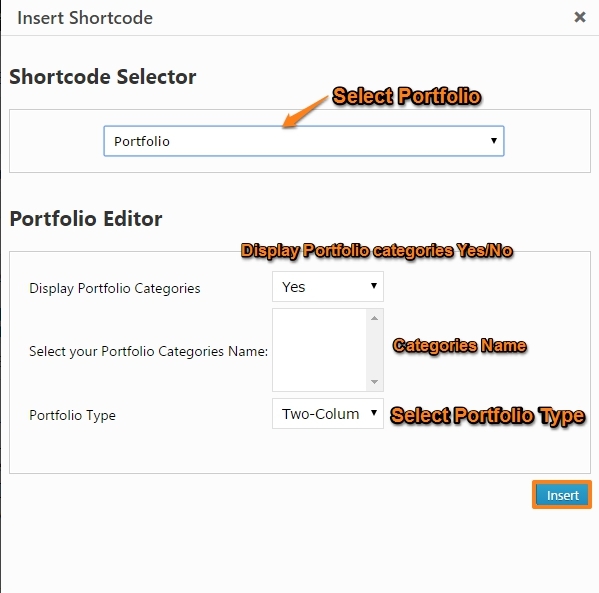 Go to Admin Dashboard → BeautySpa Portfolios→ Add New Portfolio and fill related details. To add Testimonial to BeautySpa Testimonials. Go to Admin Dashboard → BeautySpa Testimonials → Add New Testimonial and fill related details. 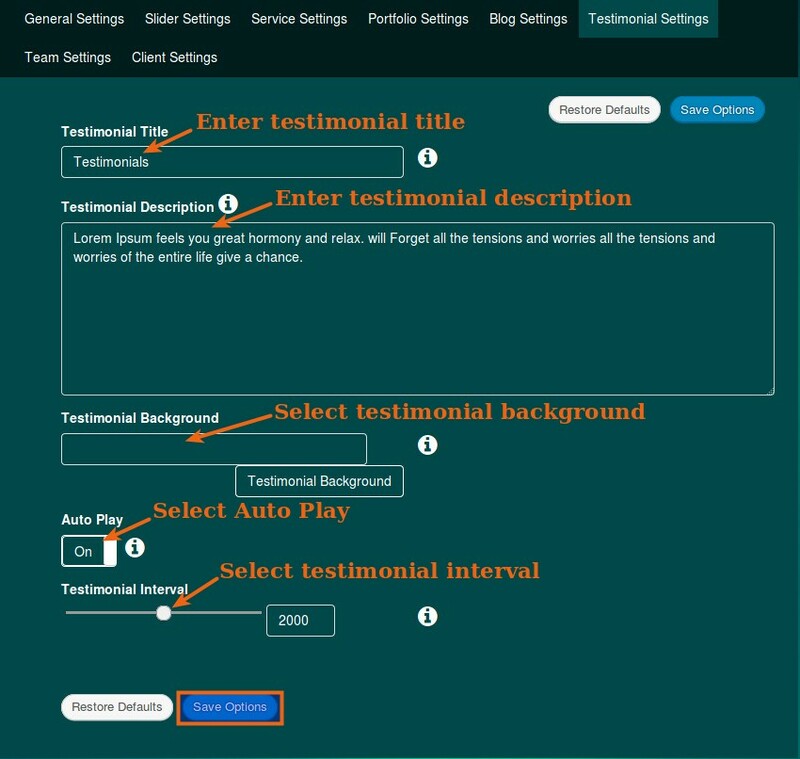 You can customize BeautySpa Testimonial Section in Theme Options Settings. 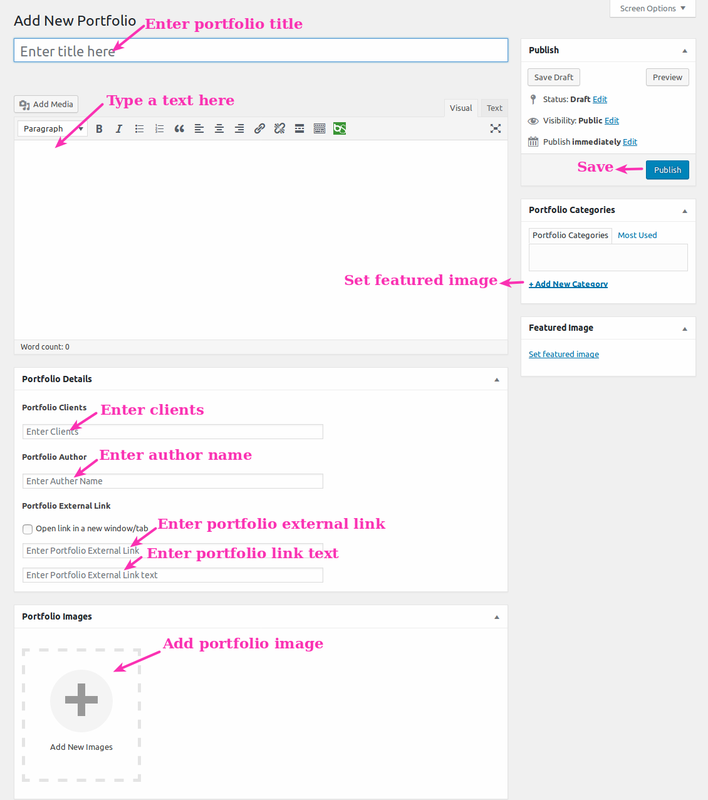 Go to Admin Dashboard → Appearance → Theme Options → Home Options →Testimonial Settings. To add Member to BeautySpa Members. Go to Admin Dashboard →BeautySpa Members →Add New Member and fill related details. To add Member to BeautySpa Client. Go to Admin Dashboard →BeautySpa Client →Add New Client and fill related details. 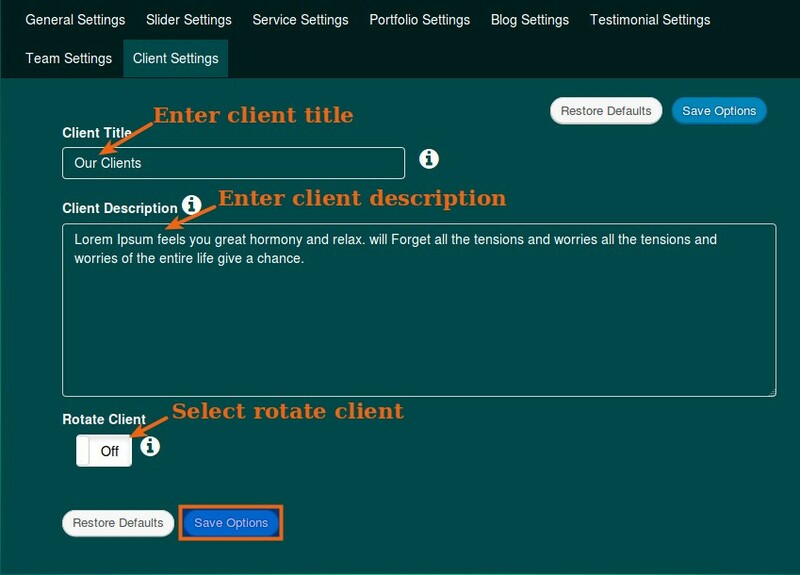 You can customize BeautySpa Client Section in Theme Options Settings. 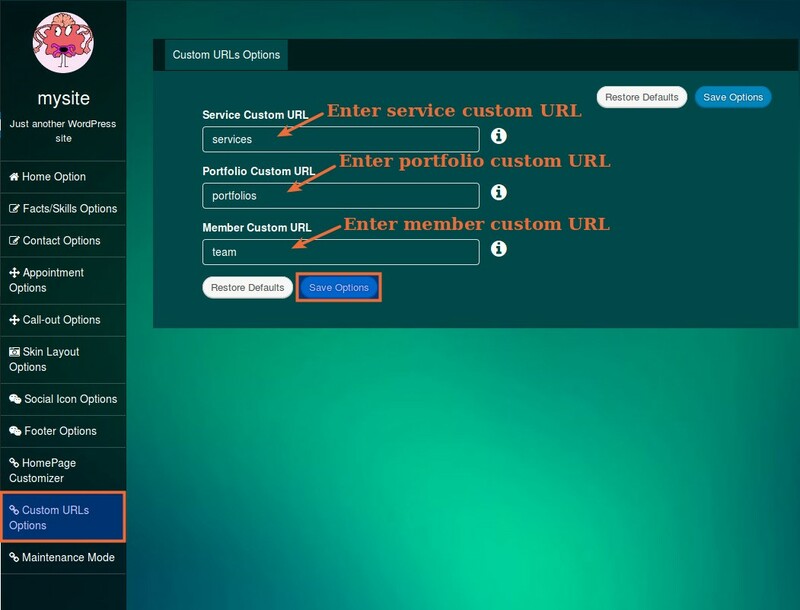 Go to Admin Dashboard → Appearance → Theme Options → Home Options →Client Settings. 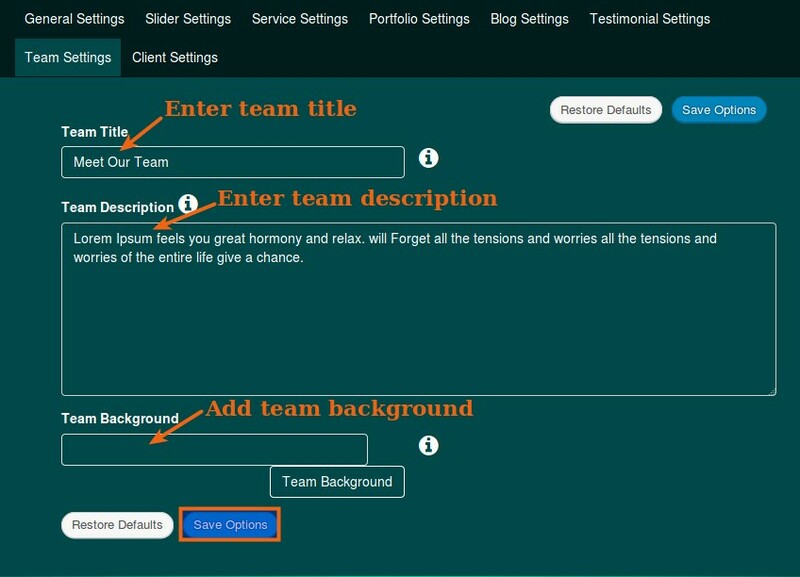 Go to Admin Dashboard → Appearance → Theme Options → Home Options →Team Settings. 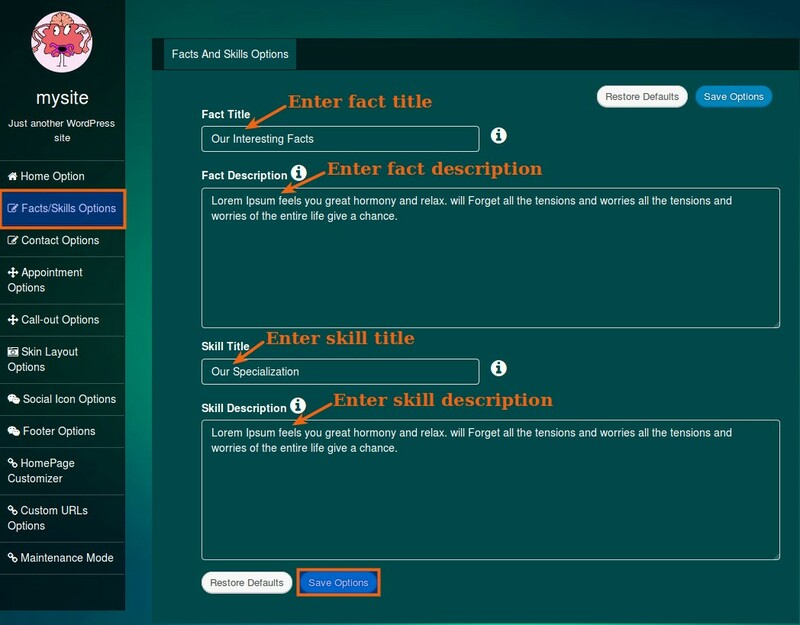 You can customize Facts And Skills in Theme Options Settings. Go to Admin Dashboard →BeautySpa Facts And Skills → Add New Facts And Skills and fill related details. Go to Admin Dashboard → Appearance → Theme Options → Facts And Skills Settings. Please follow below image for Quick Facts And Skills Settings. 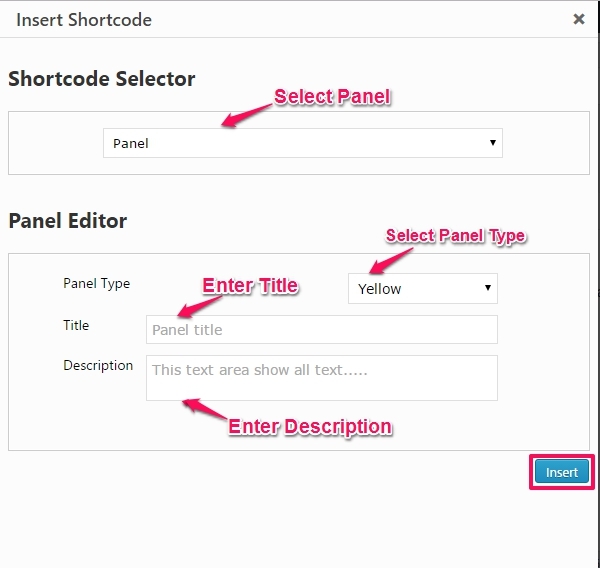 Go to Admin Dashboard → Appearance → Theme Options → Contact Settings. 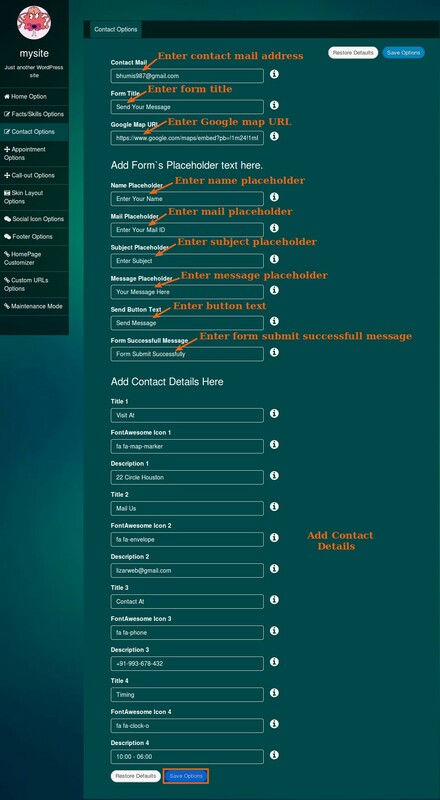 Note: All mails, of contact us templates and Home Contact section, are mailed to the mail id that you set in contact mail option. 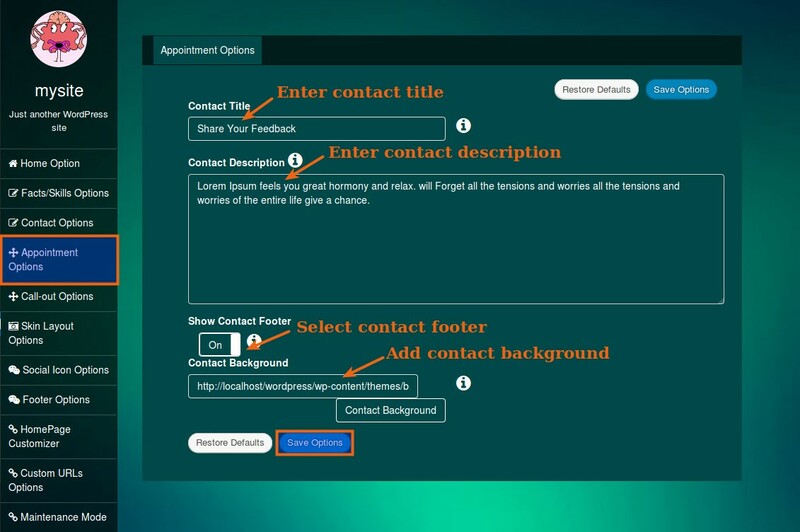 You can customize Appointment in Theme Options Settings. Go to Admin Dashboard → Appearance → Theme Options → Appointment Settings. Please follow below image for Quick Appointment Settings. 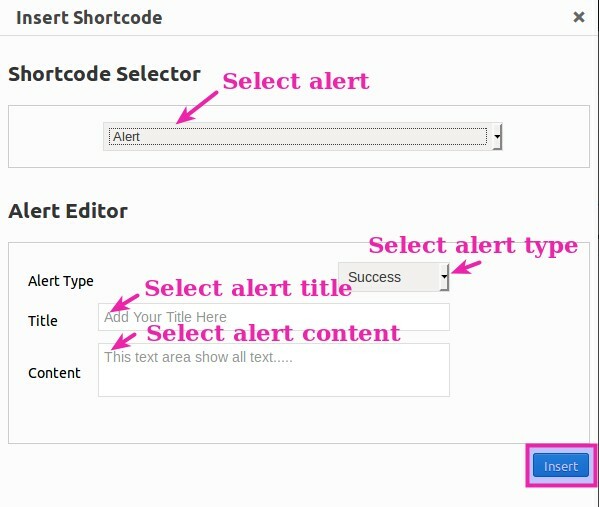 Go to Admin Dashboard → Appearance → Theme Options → Callout Settings. 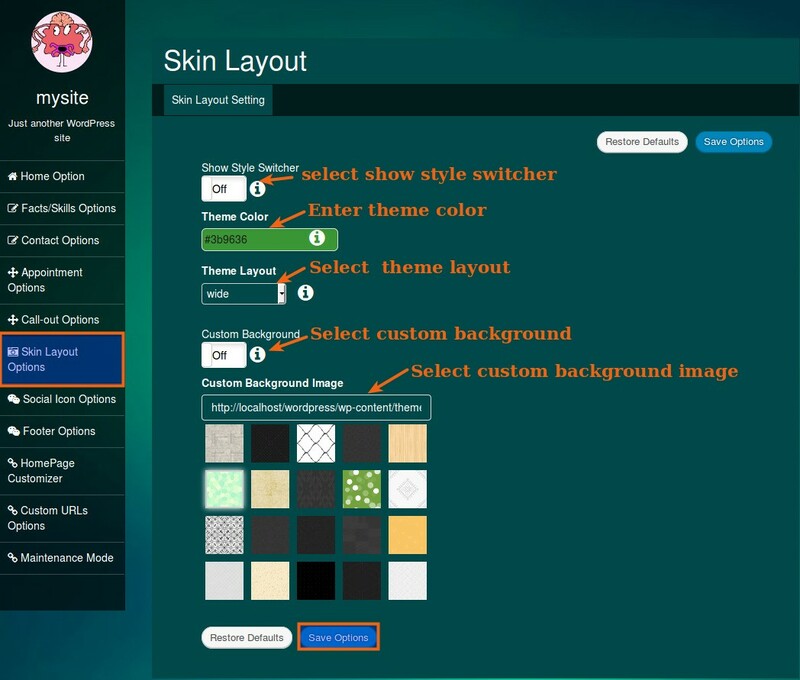 Go to Admin Dashboard → Appearance → Theme Options → Skin Layout Settings. 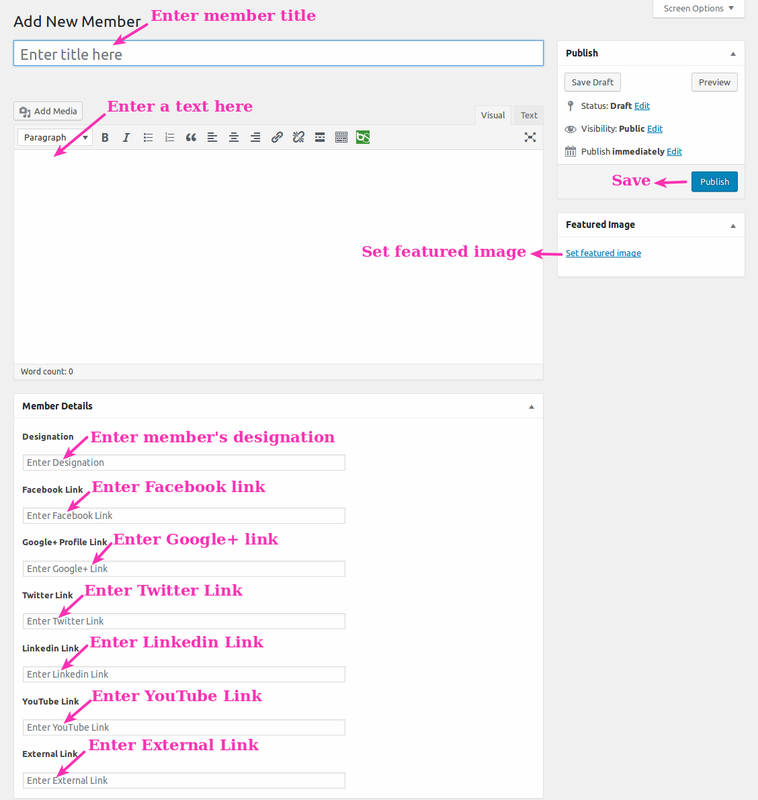 Go to Admin Dashboard → Appearance → Theme Options → Social Icon Settings. 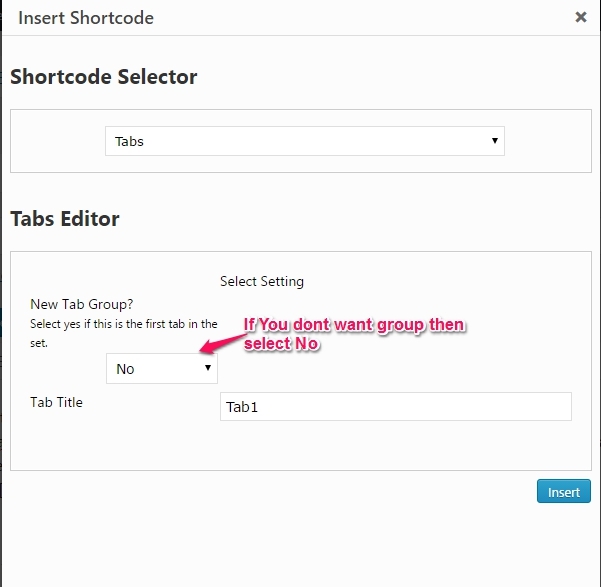 Note: All social icon are set to open in new tab. BeautySpa slider is always on the Top. 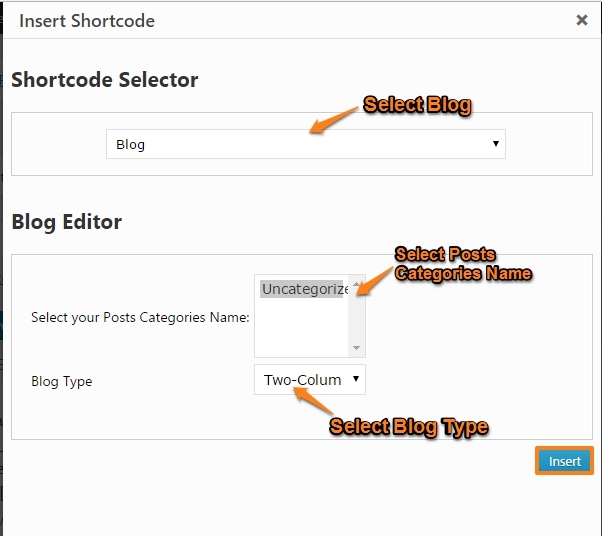 BeautySpa provides an option to use your own custom URL for custom post types. BeautySpa Premium Theme provides about 22 templates. BeautySpa maintenance Mode have Two Types. 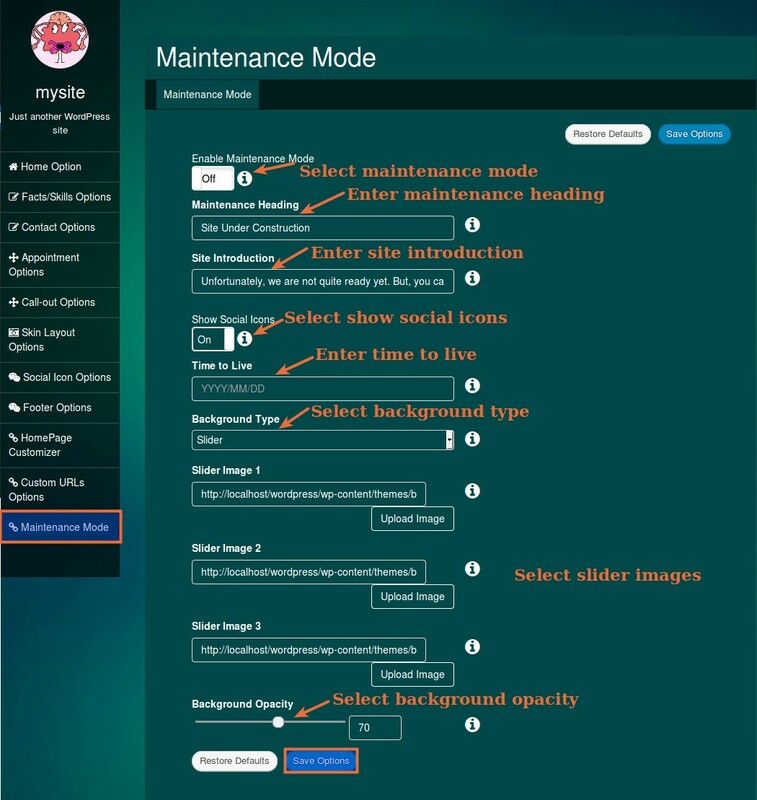 You can Enable/Disable Maintenance Page at Admin Dashboard → Appearance → Theme Options → Maintenance Mode Option. After Select Image Follow Below Image. 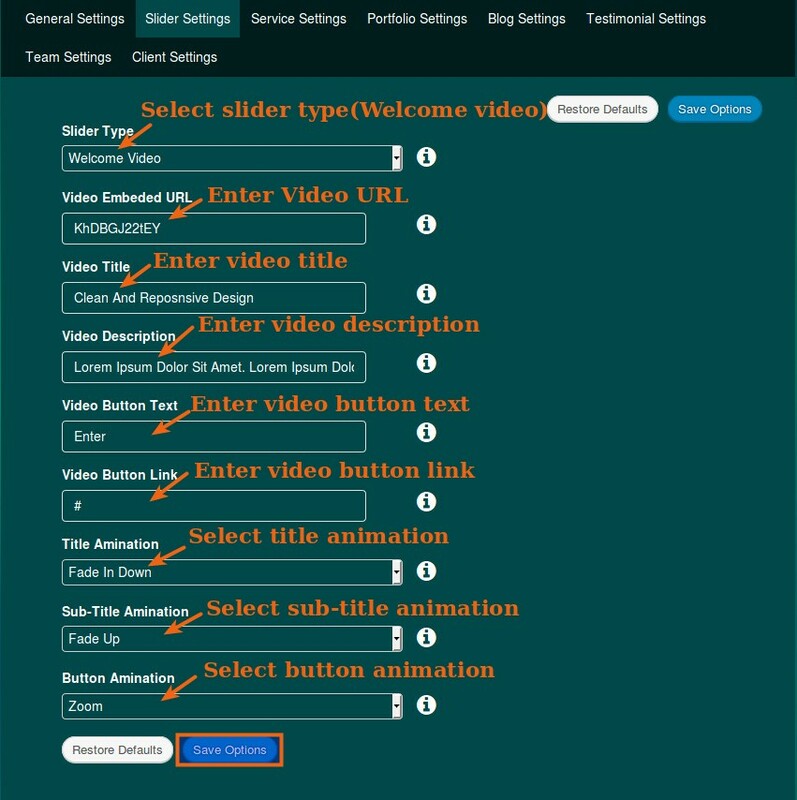 You can select background video slider to follow below image. If you add Youtube URL in Settings, then video background will be shown. If you want to show Image background only, please not provide Video URL. 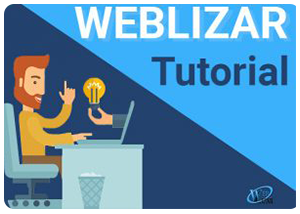 Please follow below Image to get your Youtube Video URL. 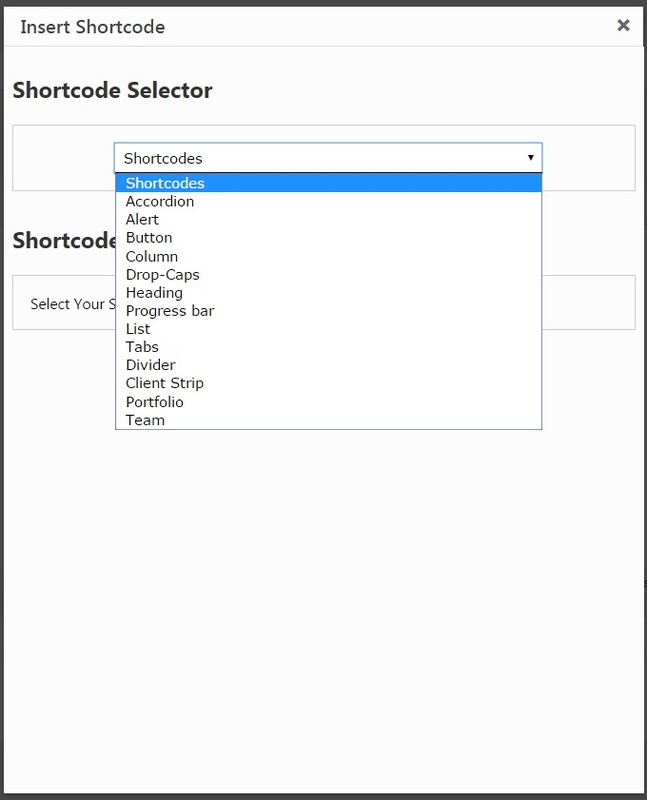 After clicking on insert button You found shortcode, As given in below image. 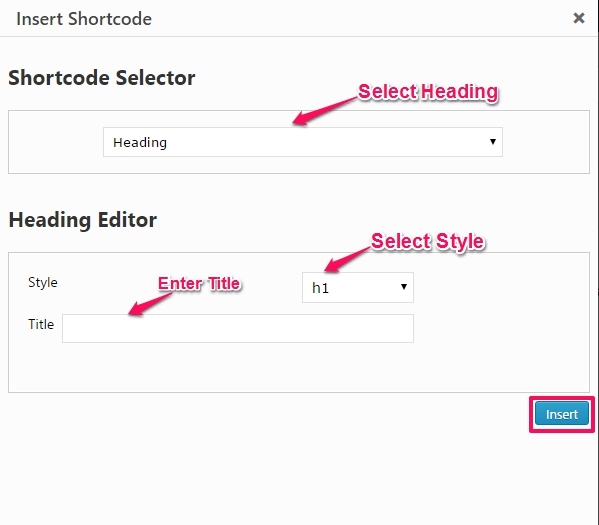 copy this shortcode and paste in a page where you want to show shortcode. 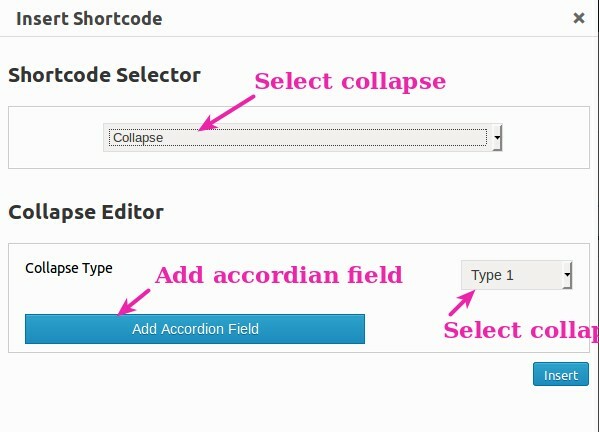 For add collapse follow below image.